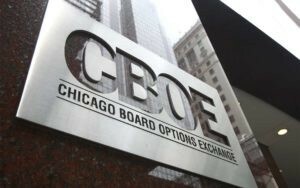 Chicago Mercantile Exchange (CME) and Chicago Board Options Exchange (CBOE) have seen the lowest Bitcoin futures volumes since they launched to much fanfare in December 2017. New research by TradeBlock shows that at their summer 2018 peak, combined trading volumes reached near-parity with spot trading volumes across five top US exchanges. Bitcoin futures trading volume has fallen significantly since peaking in the summer. The latest numbers from December 2018 show the lowest volumes since the products were launched in December 2017.